The President’s Trust was set up this morning to encourage vulnerable young people improve their lives through education and training. Specific focus will be given to vulnerable young people in care or out of home care. 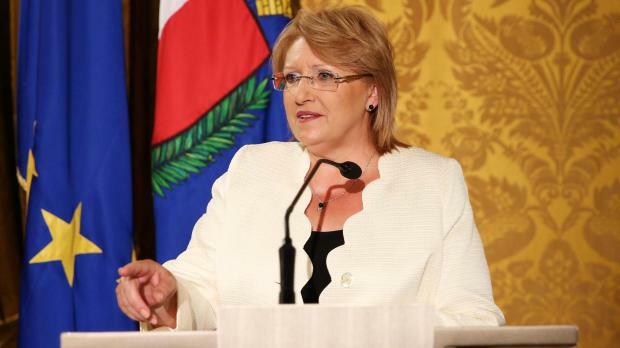 President Marie-Louise Coleiro Preca expressed satisfaction that the Trust would be taking concrete action to help young people change their lives, no matter their life circumstances. The Trust would facilitate the assistance needed to motivate young people who were not in education, training or employed, to ensure they got out of poverty and the risk of social exclusion. The President had held discussions with the Prince’s Trust in the United Kingdom. The Prince's Trust was founded in 1976 by Prince Charles, after he completed his duty in the Royal Navy, and has become the UK's leading youth charity, offering a range of opportunities to disadvantaged young people. It offers several personal development and training [programmes empowering marginalised and disengaged young people facing a range of issues and barriers in their lives. Alastair Da Costa, chief executive officer of the Prince’s Trust International, came to Malta to attend the launch of the President’s Trust, where he described the co-operation taking place between the President’s Trust and the Prince’s Trust. The Chief Executive Officer of The President’s Trust is Winston Zahra Snr., and the trustees are Michael Bianchi, Alfred Pisani, Carmel Briffa, Josianne Cutajar, Alfred Fabri, Peter Mayo and Audrey Vella Buttigieg, while Elaine Schembri is Secretary to the Trustee Board.